NEW ORLEANS – Responding to the needs of the community, the Dillard Ray Charles Program in African American Culture is offering new Restaurant & Catering Management Intensive courses in 8-week course every Monday. WHAT: Students will meet for 2.5 hours every week. The purpose of the class is to support caterers, restaurant and food truck owners, and those wanting to launch businesses by providing them with management skills. The classes will be led by restaurant industry professionals. WHERE/WHEN: Monday, Oct. 15 – Dec. 3, 6:00 p.m. – 8:00 p.m. The cost is $300 and can be paid online here or at the University Cashier’s Office, 1st Floor, Rosenwald Hall, Monday – Friday 9:00 a.m. – 4 p.m., Memo: Dillard University Ray Charles Program. The deadline to register is Sunday, October 14. The mission of the Dillard University Ray Charles Program in African American Material Culture is to research, document, disseminate, preserve, and celebrate African American culture and foodways in the South. New Orleans sits at the historical and cultural intersection of diverse groups with distinct and recognizable pasts. This program aims to understand how African, Caribbean, European, and American cultures coalesced to create a culture that is uniquely African American. The Ray Charles Program takes a deeper look at how African American culture is portrayed and taught in an effort to not only preserve that culture, but allow our students to take ownership of it as well. 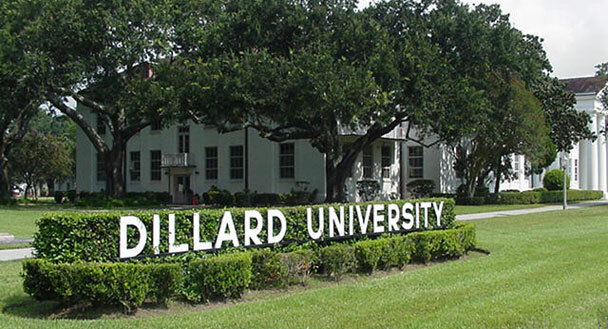 Dillard University, located in New Orleans at 2601 Gentilly Blvd., is a private four-year liberal arts historically black institution with a history dating back to 1869. Dillard will celebrate its 150th anniversary in 2019. For more information, please visit www.dillard.edu. Also, follow us on Twitter, Facebook @DU1869 and Instagram, Dillard University.